Ken Pavlou’s Zenith 601XL hits 500 hours. Ken Pavlou of Connecticut called this evening to say that his Corvair powered Zenith 601XL, now had 502 flight hours on it. It has been operational for 29 months, that is a little over 200 hours a year. Not a record, but a pretty good pace for a guy who works full time, is married and the father of two, who traditionally puts his family ahead of his hobby. The plane has been to Oshkosh twice, as far north as Maine, and far south as South Carolina. It has made a number of over water legs on the east coast, all without issue. It has been flown at gross weight above 12,000′ and has a significant amount of night flight time on it. All this has been done on the base model 2,700cc/100HP Corvair. Hats off to Ken “Adonis” Pavlou, upon reaching the 500hr milestone. 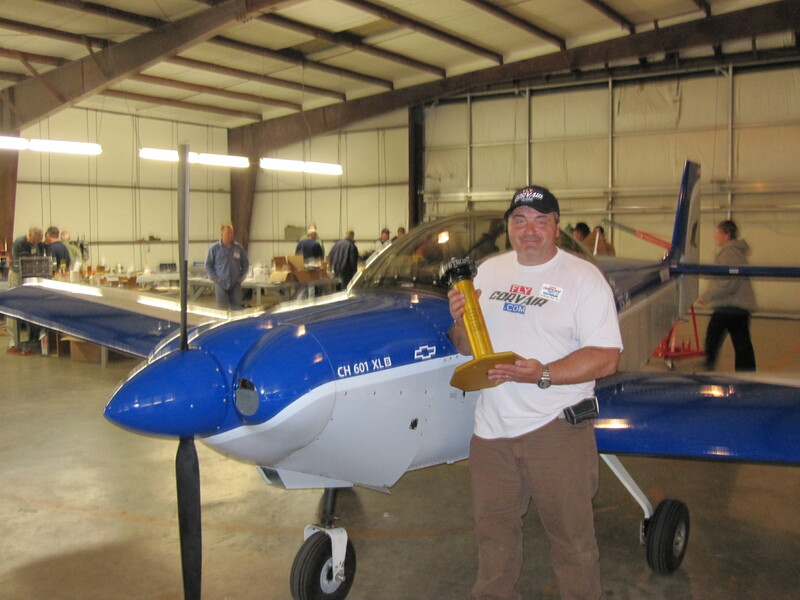 Ken holds The Cherry Grove Trophy, 2014 at CC#31 Barnwell. His aircraft is named “The Blue Speedo.” The humorous origin of the name is best left unprinted and only related verbally between adults with Ken’s sense of humor. New 601XL, 2,700 Corvair, Ken Pavlou CT.
Outlook 2016 – The Corvair ‘Information Network’ now in gear.